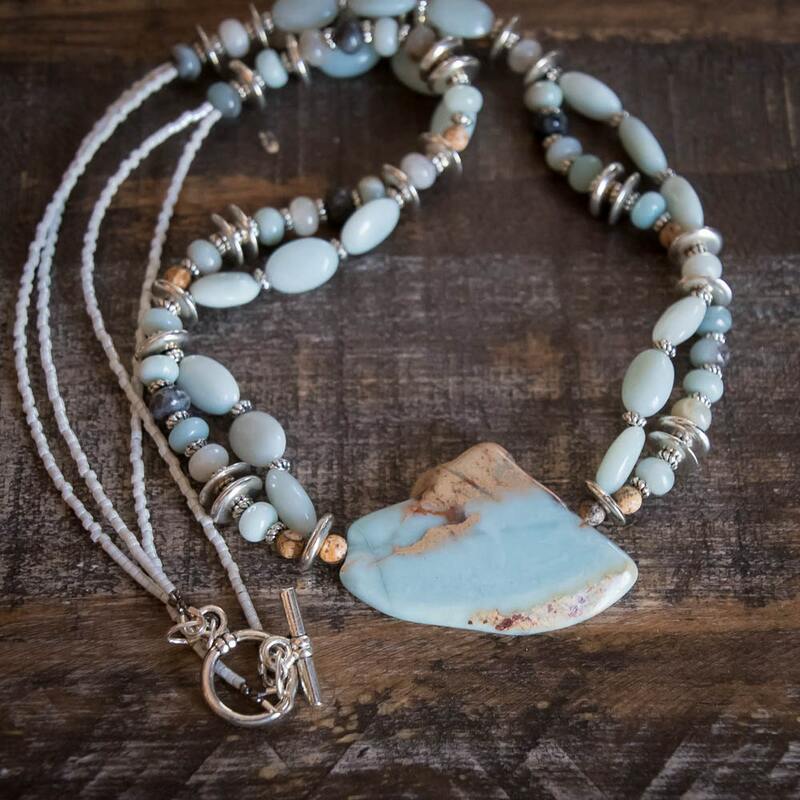 This lovely double strand necklace is 25.5 inches (67 CM) with a focal point of a beautiful slab of Aqua Terra Jasper. I love how the creamy blue plays with the beige picture jasper and a pop of darker Amazonite deep blue gray beads adding contrast. This is an earthly yet feminine piece that will dress up any casual outfit or night out on the town. Pair it with our stunning matching earrings and bracelet!